樋口徹也：Retrospective evaluation of the utility of thyroglobulin doubling time in the diagnosis of radioactive-io-dine-refractory differentiated thyroid cancer; initial experience from 6 patients treated with Lenvatinib. 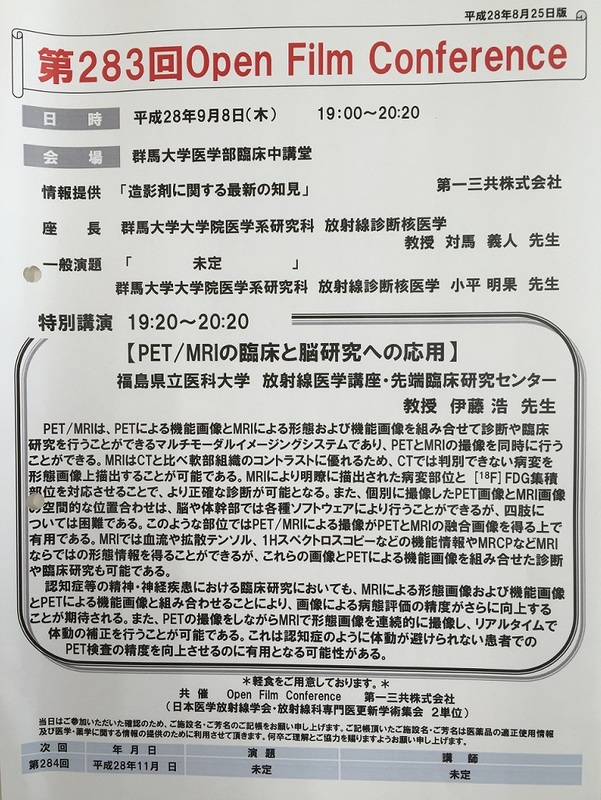 金舞：Effect of hypoxia on transport amino acids in cancer: in vivo and vitro studies at Turku PET Center. Nguyen Thu Huong: Evaluation of diffusion weighted MR Imaging and 18F-FDG PET for monitoring triple negative breast cancer response to Cisplatin treatment. Dan An Binh: Non-invasive quantitative evaluation of cerebral blood flow (CBF) using technetium labeled ethyl cysteinate dimer (99mTc-ECD): performance of aorta’s region of interest (ROI). Anu Battarai: An introduction of positron emission tomography-based monitoring methods for verification of carbon ion therapy. Oyunbold Lamid-Ochir: Early predicition of therapeutic effect of cyroablation using bioluminescence imaging. A.Adhipatria P.Kartamihardja: Neuronal analysis of hippocampal primary culture after gadolinium-based contrast agent exposure. Erdene Khongorzul: Transplacental gadolinium deposition to pup mice and the effect of their pregnancy for mothers after administration of gadolinium based. Zhang Xieyi: Detection of EGFR Positive Lung Squamous Cell Carcinoma by Dynamic Fluorescence Imaging. 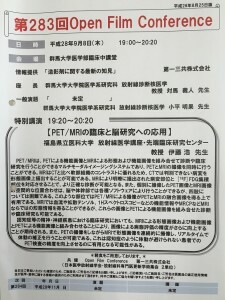 関優子: Radiation exposure to interventional radiologists during CT fluoroscopy-guided percutaneous cryoablation. 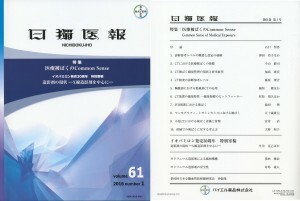 入内島明子: Evaluation of organ dose estimation from indexes of CT dose using Monte Carlo simulation. 福島康宏: Contrast-induced nephropathy(CIN) of patients with renal dysfunction in CT examination. 茂木俊一: Double Inversion Recovery (DIR) Image for the Brain: Deriving the Most Relevant Sequence using Signal Intensity Measurements.